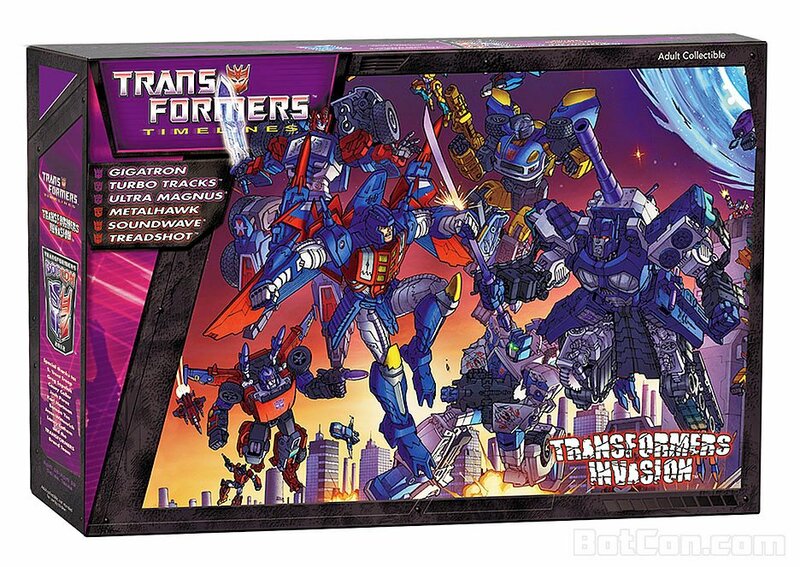 The Transformers Collectors’ Club Roundtable panel happened at 3PM EST on Saturday April 28th, 2012 at Botcon. 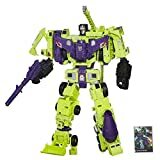 Among the announcements were the free club exclusive membership figure for next year, the figure subscription service (FSS) for Transformers, and some narrative behind the creation of this year’s exclusive set and box artwork. Join us after the jump for all the details, pictures and even a little video. 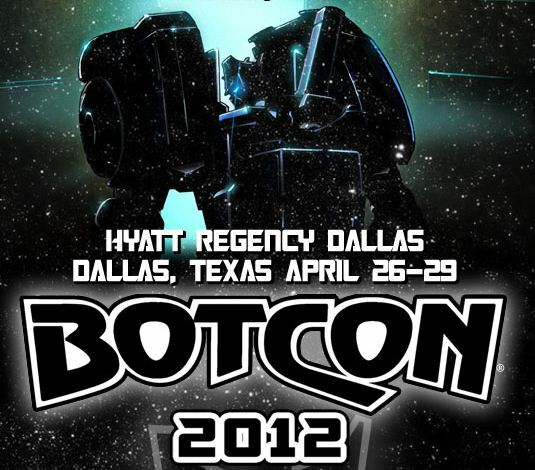 This posts serves as your one-stop shop for news related to Botcon 2012. From announcements to reveals to actual convention coverage! 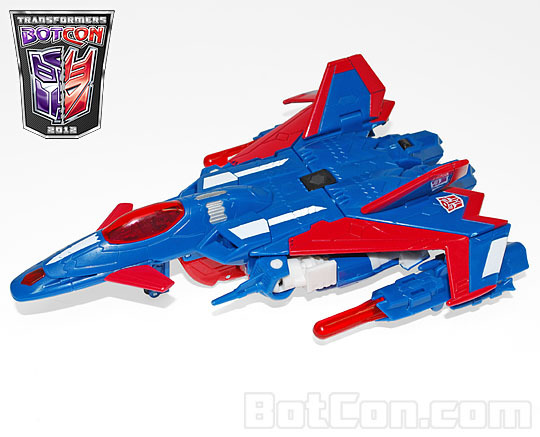 Check back often as we bring you the latest news for our favorite annual robot toy convention. 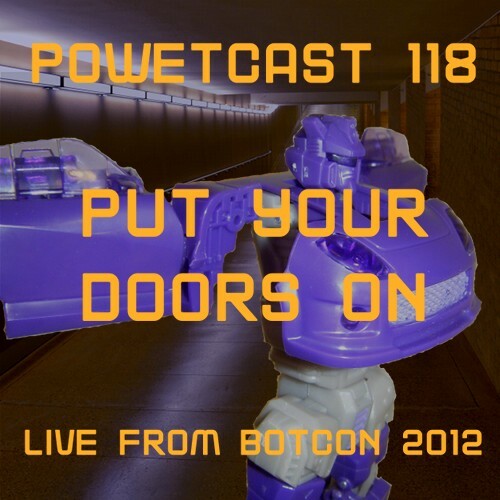 Adam takes control with Crazy, Justin, and Caren for our special episode from Botcon 2012. Recorded live in front of a studio audience! 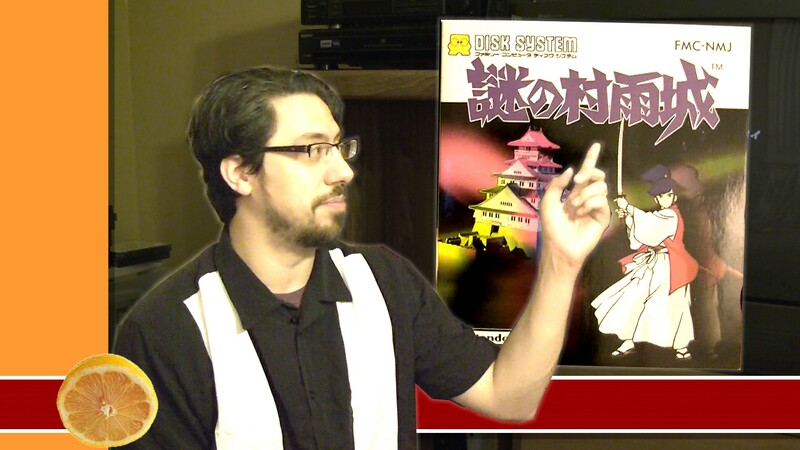 This episode was also shot on video, and that will be posted to the site within the next few days. 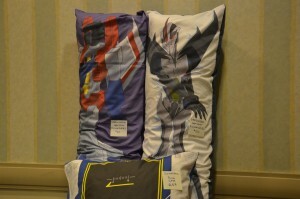 At Botcon 2012 I managed to find an actual female in an event that was not at all staged. 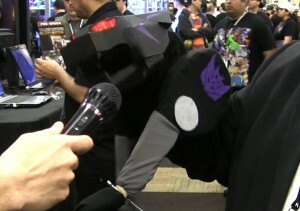 I wasn’t the only one on the prowl, as Ravage the Insult Comic Bot was also looking for the line for the ladies. If you like the comic stylings of Ravage the Insult Comic Bot check out his YouTube channel and visit Jon Bailey’s web site. Thanks Jon for this unexpected comedic outbreak. 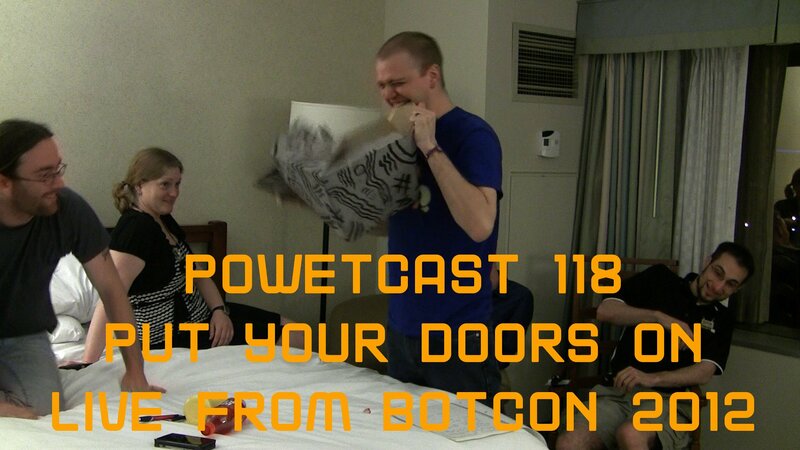 We have more Botcon clips, articles and our podcast to come so keep checking in for more in the coming days. 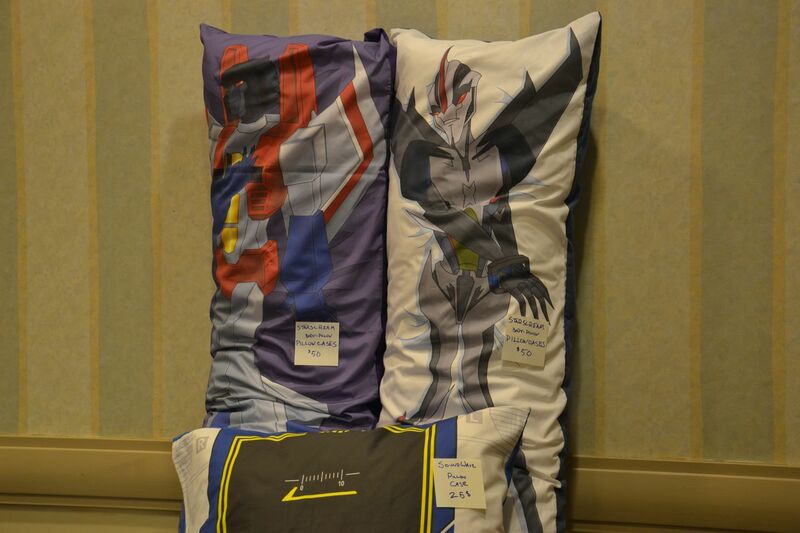 Here’s Caren asking some hard hitting questions we’re all burning to know the answers to at this year’s Botcon as she investigates Starscream themed Body Pillows and My Little Pony merchandise. If you like this stuff check out orgxiii.org’s web site. 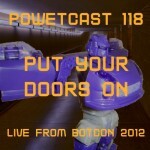 We’ve got more Botcon content to come to keep checking out Powet.tv as we get all of this stuff posted. 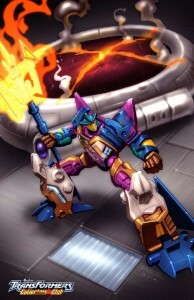 Here is the big reveal of the final figure in the Botcon 2012 exclusive set of figures, Metalhawk. 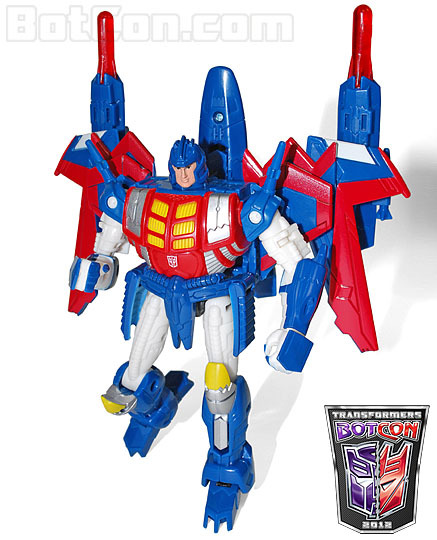 He uses the Thunderwing mold with a new head showing the humanoid head of Metalhawk’s Pretender shell. 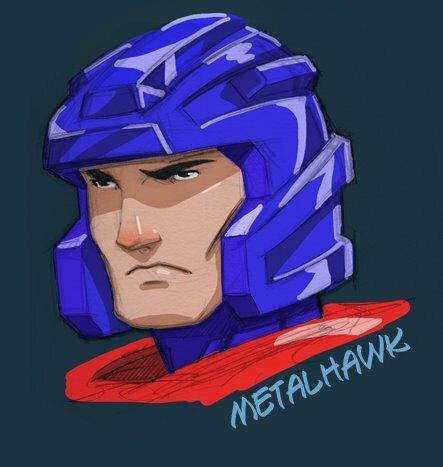 Below you can see some concept art of what the head was meant to look like along with some art from Evan Gauntt from the Botcon facebook page. I think the helmet could have used some more color, but not bad. This is one of the more interesting figures from the set for sure. Let us know what you think in the comments!